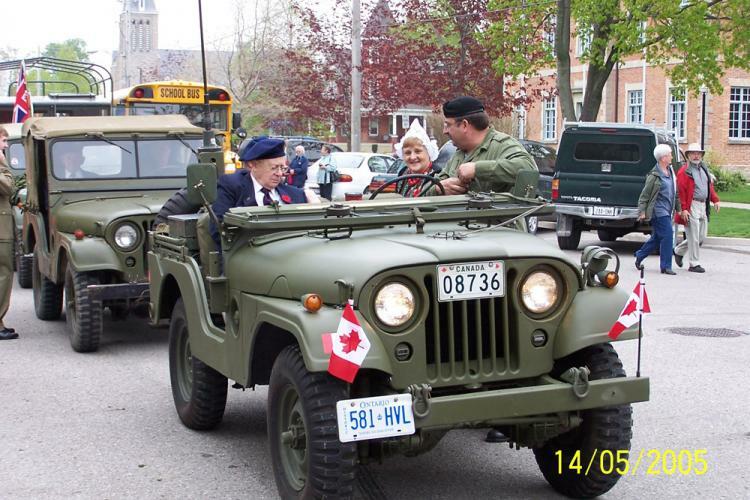 In Goderich, both in 2005 and 2017, an amazing array of Canadian 1st Army vehicles were assembled for public viewing. 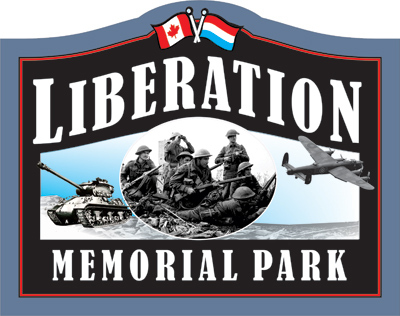 Private collector and committee member, Gord Yeo of Central Huron put out the call to fellow collectors to assemble at Liberation Memorial Park to honour our veterans. 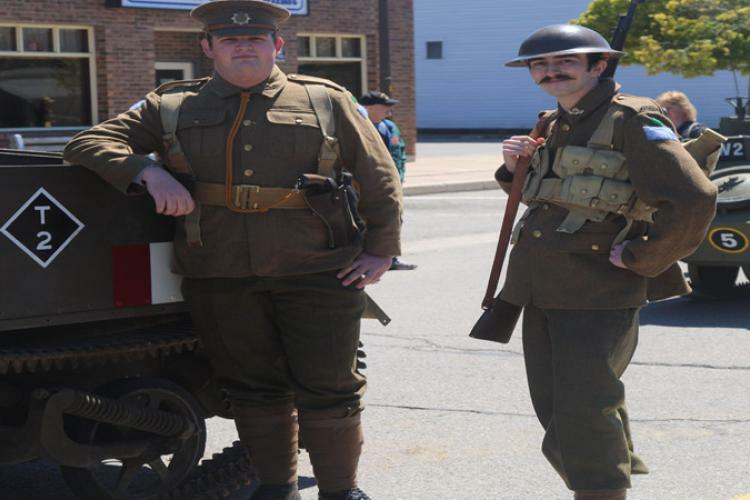 Canada was a major manufacturer of war equipment. 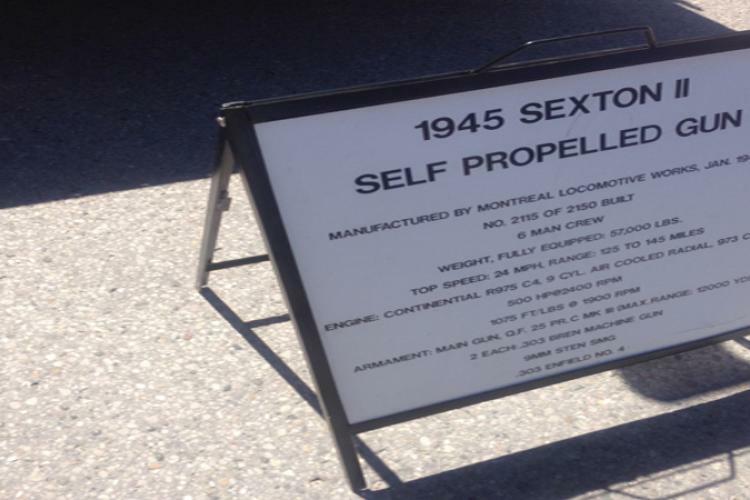 Here is some information on some of the equipment that was on display. To find out more about a particular vehicle, click on the title. The Universal, or 'Bren Gun' Carrier, is a well-known hallmark of British and Commonwealth troops in World War 2. Manufactured in Britain, Canada and Australia, the carrier served on every front, in every formation, and in a variety of roles ranging from infantry support to gun tractor to logistics and communications. 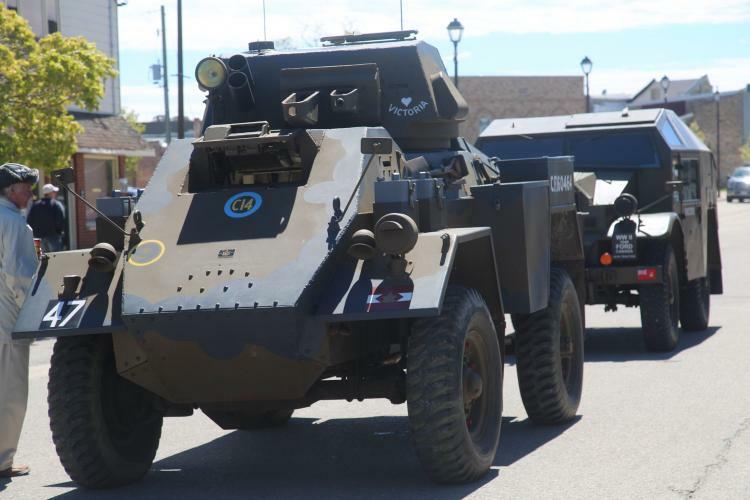 Specific roles included Medium Machine Gun (with Vickers mounted on the engine deck), 3" / 4.2" Mortar (the mortars dismounted for firing), and Wasp flame thrower. 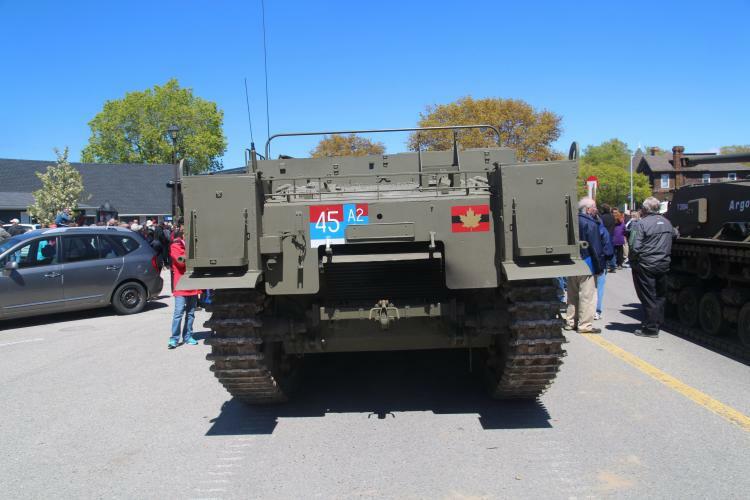 Models produced include the MkI and variants, the MkII and variants, the U.S. T-16, and the Canadian Windsor carrier. 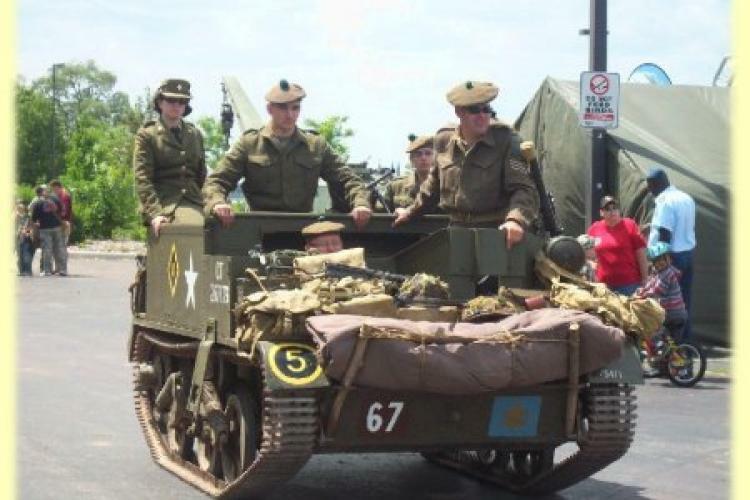 Ford of Canada produced almost 29,000 universal carriers in WW2, along with 5,000 Windsor carriers. 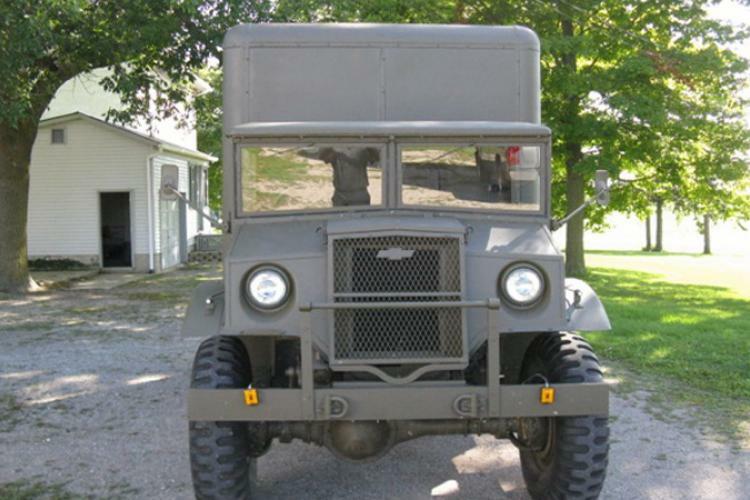 The Universals were powered by an 85hp 221 ci flathead V8, while the Windsors and their American cousins, the T-16s, used the same basic 95hp 239 ci engine as Ford CMP trucks. Weighing in at approximately 5 tons, the top speed on their all-steel 'dead' track was about 30mph. Armour thickness varied from approximately 3/8" in the front hull, to 1/4" sides. The floor of the carrier was a weak point, having only 1/8" of mild steel, which made the powerplant, gas tanks and crew extremely susceptible to mine damage. 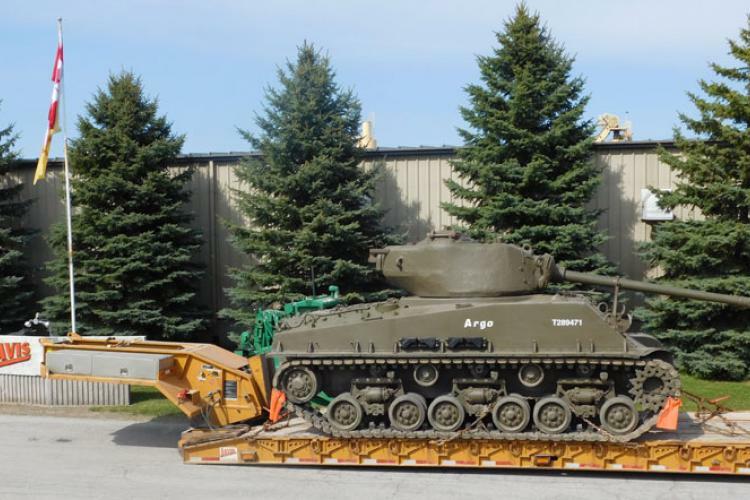 Vehicle equipment stowage and crew depended on its allotted role. 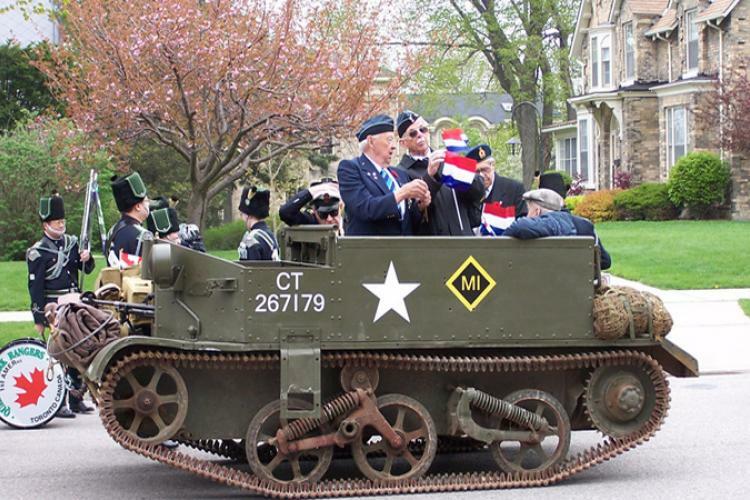 THE FORD OF CANADA Universal, or 'Bren Gun' Carrier, was manufactured throughout the war to the tune of some 28,988, in Windsor, Ontario. It was an adaptation of the British Universal, which itself was derived from the earlier Carden-Lloyd carrier. It was produced in two basic versions, the Mk.I* and Mk.II*, but there are only minor variations between them. 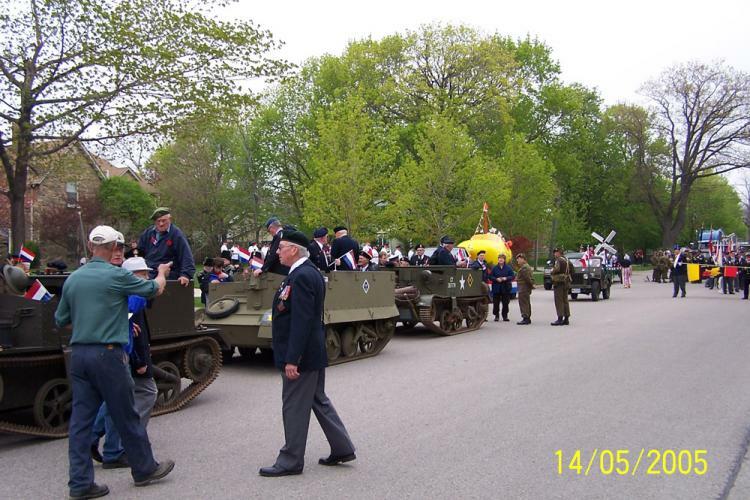 These variations include style of handrail around the crew compartment, minor differences in armour arrangement, the fender skirts, stowage, and towing capabilities. 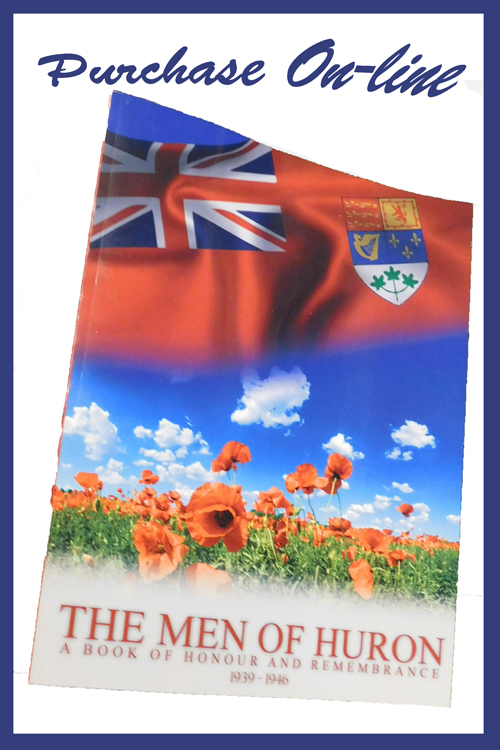 We are grateful to www.mapleleafup.net for this information and would recommend you visit the site for much more on the equipment of the First Canadian Army.